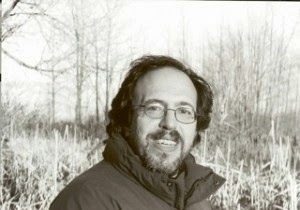 Lee Smolin is one of our foremost theoretical physicists and a rare thinker, as deeply involved in the philosophy of science as in its theoretical detail and cultural resonance. He is able both to confront and propose solutions for a way out of what he sees is a current impasse in theoretical thinking and to continue to posit radical new theories about the fabric of the universe. He has made important contributions to the search for quantum gravity. Since 2001 he has been a founding faculty member at Perimeter Institute for Theoretical Physics in Toronto. His books include Life of the Cosmos (1997), Three Roads to Quantum Gravity (2001) and The Trouble with Physics (2001). Lee’s latest book is Time Reborn – From the Crisis of Physics to the Future of the Universe. 1) To present an argument based on science for the reality of the present moment and for the necessity that everything-even the laws of nature-evolve in time. 2) To explain why the opposite belief-that time is an illusion-has so powerfully influenced the thinking of scientists and philosophers and to explain why it is an illusion. 3) To explore its implications for science and for us as human beings. To develop and test new hypotheses for cosmology based on the idea that time is real and laws evolve. The possibility of explaining why everyday phenomena are irreversible in time while the laws of physics are reversible, without having to refer to unlikely hypotheses like the improbability of the early conditions of our universe.